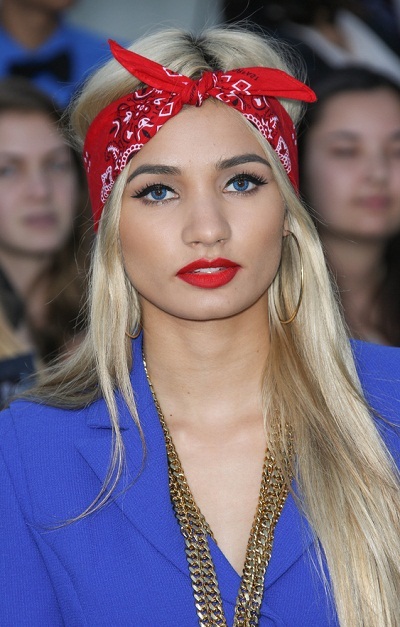 Pia Mia Perez is an American singer, songwriter, and model. She is from Guam, a U.S. territory. Pia’s paternal grandfather is of Chamorro (Pacific Islander) descent, and Pia’s paternal grandmother has Dutch and Hungarian ancestry. Pia’s maternal grandfather was David Terlaje. David is of Chamorro (Pacific Islander) descent. Pia’s maternal grandmother is Louise Regina Stefani (the daughter of Sante/Santi Stefani and Esther De Lazzer/Lazzar). Louise was born in Illinois. Sante was born in Piandelagotti, Provincia di Modena, Emilia-Romagna, Italy, the son of Carlo Stefani and Maria Medici. Esther was born in Missouri, of Italian descent, and was the daughter of Dominick DeLazzer and Regina Ester Ceccon. The Chamorro are an indigenous people of Guam, where Pia is from. Yeah, I added that info to his findagrave along with his mother’s maiden name which is Medici. Maternal grandfather was David Terlaje. Maternal grandmother is Louise Stefani. Louise’s middle name is Regina. Is there a marriage record of this interracial couple? Chamorro people have Spanish names, they were under Spanish rule for 300 years. I’m not exactly sure if they were married in Guam or Iowa. She looks exotic with her natural hair colour. she changed nose, chin, eye color etc. First Chamorro celebrity. That’s nice. Guam is a really beautiful place. I would love to go there. Love her but what’s up with the blue contacts and blonde hair. I guess she’s copying rita ora.